“Top Gun,” Paramount Pictures’ 1986 classic from director Tony Scott, producers Don Simpson and Jerry Bruckheimer, will take off on a new adventure with an exclusive six-day 3D engagement in select IMAX theatres beginning Feb. 8, 2013. The film has been re-mastered for the IMAX 3D release and subsequent debut on Blu-ray. “Top Gun” was re-mastered for the big screen from high-resolution original negative scans and painstakingly converted to 3D by Legend3D under Scott’s supervision. Rendered in 3D, the film’s complex, long shots reveal extraordinary depth and clarity, allowing viewers to explore every detail of the action. From the spectacular aerial dogfights to the intense close-ups in the cockpits, each frame enables the audience to feel a part of the story. 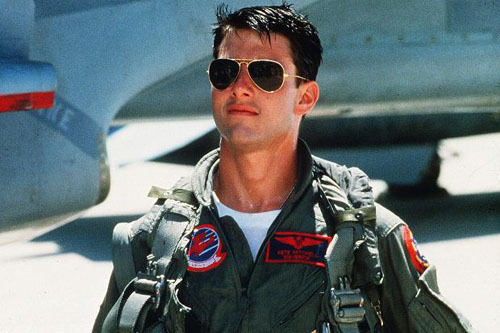 The story of an elite group of pilots competing to be the best in their class and earn the title of “Top Gun” earned more than $350 million in worldwide box office upon its release. The film stars Tom Cruise as Maverick and Kelly McGillis as his civilian instructor. The film also stars Val Kilmer, Anthony Edwards and Meg Ryan. The “Top Gun” Blu-ray 3D disc (due Feb. 19, 2013) presents the film with pristine high definition picture and sparkling sound in spectacular 3D for the ultimate home viewing experience. The Blu-ray 2D includes the re-mastered film in high definition, along with a six-part documentary on the making of the movie, a behind-the-scenes featurette, interviews with Tom Cruise, commentary by producer Jerry Bruckheimer, director Tony Scott, co-screenwriter Jack Epps, Jr. and more. The two-disc set available for purchase also includes a digital copy of the film and will be enabled with UltraViolet technology.